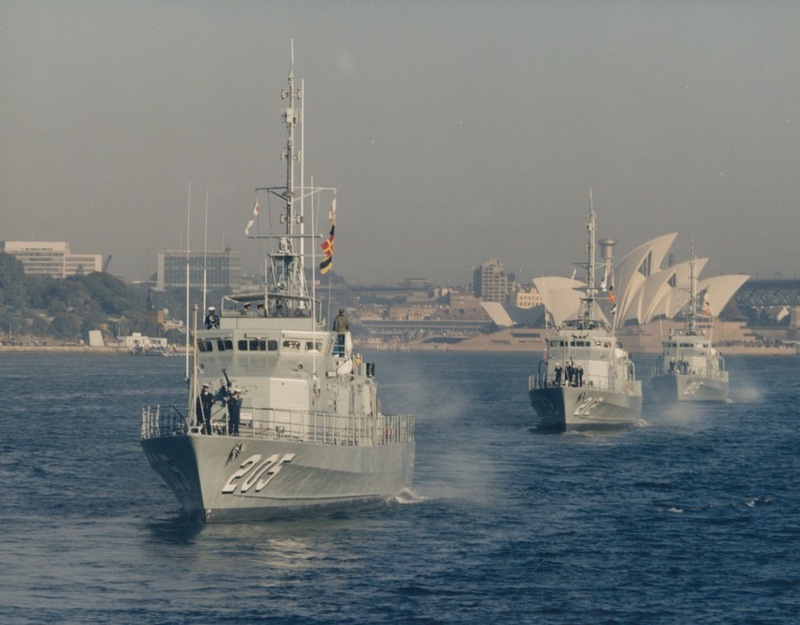 HMAS Townsville and her 14 sister ships were Navy's principal contribution to the nation's fisheries protection, immigration, customs and drug law enforcement operations. The vessels worked hand-in-hand with other Government agencies and each year they provided up to 1800 patrol days as part of the Coastwatch-managed national surveillance effort. In the event of war they would have been tasked to control the waters close to the Australian mainland. 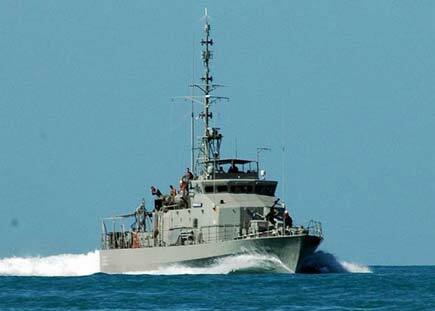 Fremantle Class Patrol Boats were highly capable and versatile warships which were able to conduct a wide variety of missions and tasks. One of the primary duties was the contribution to the Civil Surveillance Program. Surveillance and Boarding operations conducted by the Royal Australian Navy safeguard Australia's sovereignty and significantly contribute to the security of our nation. Our operations protected against unauthorised entry, breaches of customs, immigration and drugs legislation, other illegal activity and in support of law enforcement, preserved the integrity of our national fish stocks, our marine environment and other natural resources. HMAS Townsville (II) in rough weather. HMAS Townsville leads the column pass the Sydney Opera House. Following her is HMAS Gawler and HMAS Geelong. Townsville had a range of 2360 nautical miles at 12 knots and a maximum speed of almost 30 knots. It was equipped with high-definition navigational radar, high and ultra high frequency communications equipment, gyro compasses and echo sounder. Townsville was also fitted with a satellite navigation system that enabled the ship's position to be determined with great accuracy. Townsville was the second ship in the RAN to carry the name. HMAS Townsville (I) was a Bathurst class corvette that served during World War II. Decommissioning crew of HMAS Townsville (II). 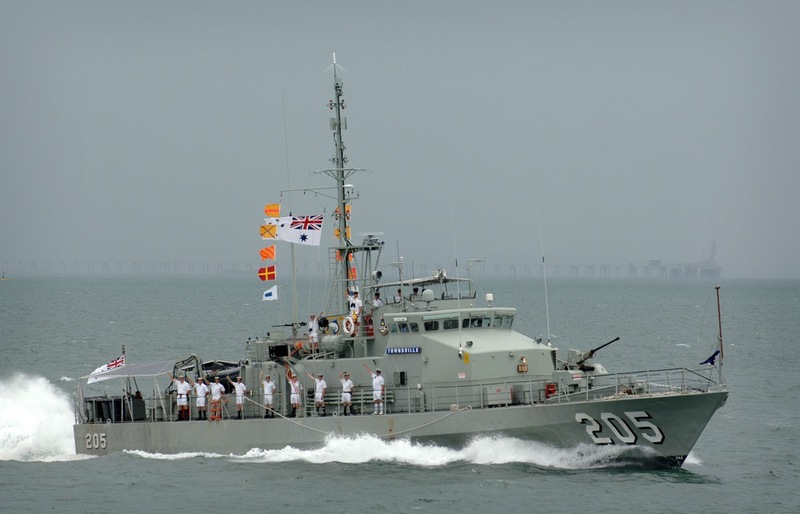 HMAS Townsville departs Darwin to commence a 4 week patrol in north Australian waters in support of Operation RESOLUTE. 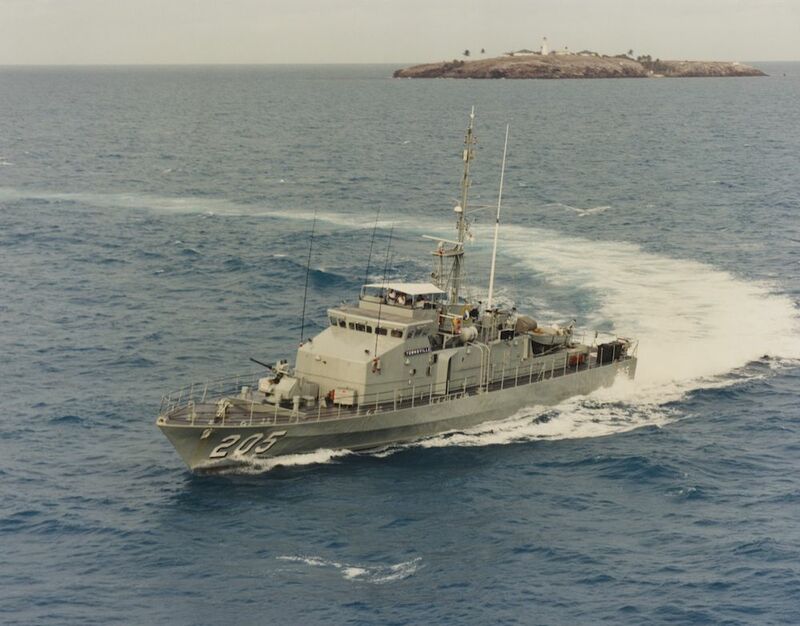 This was the last time a Fremantle Class Patrol Boat sailed from Darwin. HMAS Townsville was decommission on 7 May 2007 in Cairns, Queensland. 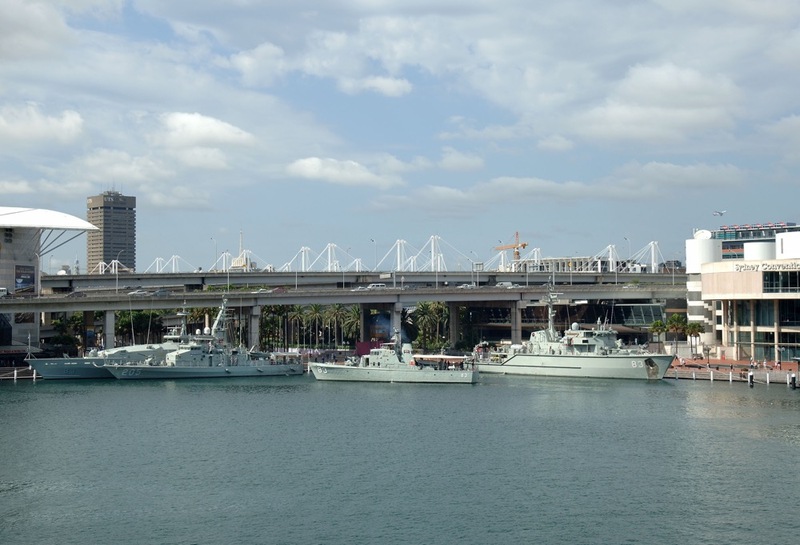 Decommissioned Attack Class Patrol Boat, Advance (83), berths in Darling Harbour alongside HMAS Townsville and HMAS Armidale, as part of Pacific Sea Power Conference and Exposition 2006.